Raider Student Media at the University of Mount Union is a student-led organization comprised of WRMU-FM 91.1, The Dynamo and Studio M. Students who work for Raider Student Media have the opportunity to produce content for all three platforms. 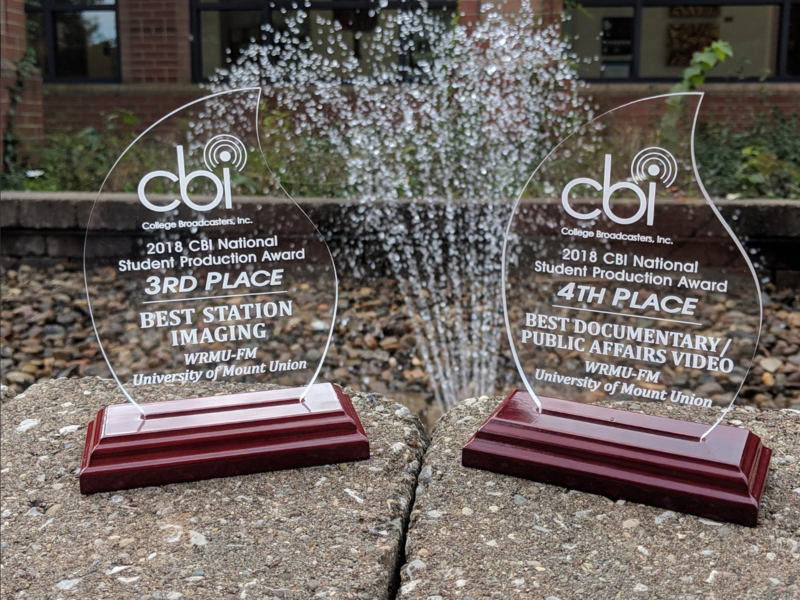 Logan McGee '20 and Tyler Longstreth '18, both of whom have held positions at 91.1 WRMU FM, secured the station two spots as a national finalist in the 2018 College Broadcasters, Inc. (CBI) National Student Production Awards. McGee placed third and Longstreth placed fourth nationally. Mount Union's radio station was born January 10, 1966 by a group of Mount Union students. It started as a carrier current station using Mount Union's power lines to reach the residence halls. The original station contained one studio in the basement of Miller Hall. WRMU continued as a campus-only station until October 17, 1970 when the Federal Communications Commission (FCC) granted the institution a license for WRMU to become a full-fledged FM station with the frequency 91.1. From the basement of Miller Hall, the radio station moved to new quarters on the second floor of Memorial Hall in 1983. The station grew from two studios to a total of four. In May of 1996, the station moved into its new and current home in the Hoover-Price Campus Center. WRMU students are available to DJ events on campus and in the Alliance community. Availability is limited and not guaranteed. Please submit all requests HERE at least two weeks in advance and someone will contact you to discuss all the details. The Sports Team at WRMU broadcasts dozens of games every academic year. In the fall, you can hear local high school football on Friday nights and Raider Football on Saturdays. In the spring, WRMU brings you Mount Union basketball, along with baseball and softball. WRMU works to keep promotions of campus and local events up to date. Our goal is to inform the campus and community of your events and activities. .If you have an event or a public service announcement you would like us to broadcast, please email the information to wrmu@mountunion.edu or call 330-823-3777 at least two weeks in advance. The Brother Alex Smith Gospel Show is dedicated to the late and great, Alex Smith. Alex would always say he was "too blessed to be stressed." Smith's lifetime goal was to give back to others as God had blessed him. Alex passed away in December of 2016. Since then, Brother Duke and Sister Susan have continued the show in his name. Prior to being called the Alex Smith Gospel Hour, the show was aired as The Evelyn Spiritual Hour and was founded and hosted by Sister Evelyn Brown in 1969. Tune into WRMU 91.1 on your radio dial. Listen on your phone by dialing 563-999-3112. Long distance charges may apply. Or listen online using our live stream player. Person, Place, Thing - Tuesday at 5:30 p.m.
Earthwise - Monday at 8:30 a.m. and Wednesday at 12:30 p.m. Academic Minute - Tuesday at 12:30 p.m. and Thursday at 8:30 a.m. Moment In Time - Tuesday and Friday at 8:30 a.m. The Media Project - Thursday at 5:30 p.m.
Current Cast - Monday and Friday at 12:30 p.m.
Alex Smith Gospel - Sunday at 9 – 11 a.m. The first print edition of the Dynamo appeared on campus July 20, 1889 as an 18-page literary magazine. Mount Union President Tamerlane P. Marsh suggested the name Dynamo for the student newspaper. Over the years The Dynamo, a student organization with membership across campus, published weekly campus news along with periods of occasional national and international news and sport coverage. Traditionally The Dynamo Advisor was a faculty member from the Department of Communication. In the mid 1990’s the paper began publishing on recycled paper, an indication of student awareness and concern for the environmental impact of the paper. This trend continued into the 2000’s with the first electronic version of the paper appearing as a Wordpress site January 2008. Due to declining readership, budget concerns and development reflected in professional newspaper publishing, The Dynamo switched to an online-only publication in the Fall of 2014 with the last print edition (other than special editions) published April 2014. The Dynamo is produced entirely by students. The University of Mount Union, it’s administration, faculty and staff do not endorse the content published, nor do they censor, review or influence the content. Studio M is the online video channel produced by students. Those who work with Studio M can produce content in the multimedia space located in the Raider Student Media offices in the Hoover-Price Campus Center. Multimedia and Video content is created by students in classes as well as staff and directors of Raider Student Media. Videos can be viewed on the YouTube channel. Studio M was established as a production studio in the Mount Union Theatre. Students worked with professional cameras and lighting to produce content for Studio M. After the building was torn down, Studio M found its new home as a part of Raider Student Media.